Do you have photos, historical accounts or other items pertaining to the Big Falls area? Would you like to share this historical information with the world? LakesnWoods.com would like to publish your Big Falls photos (current or historical) or historical accounts on this website. Original materials can be returned and your privacy will be respected. 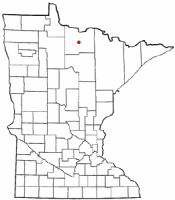 Big Falls is a city in Koochiching County, Minnesota. 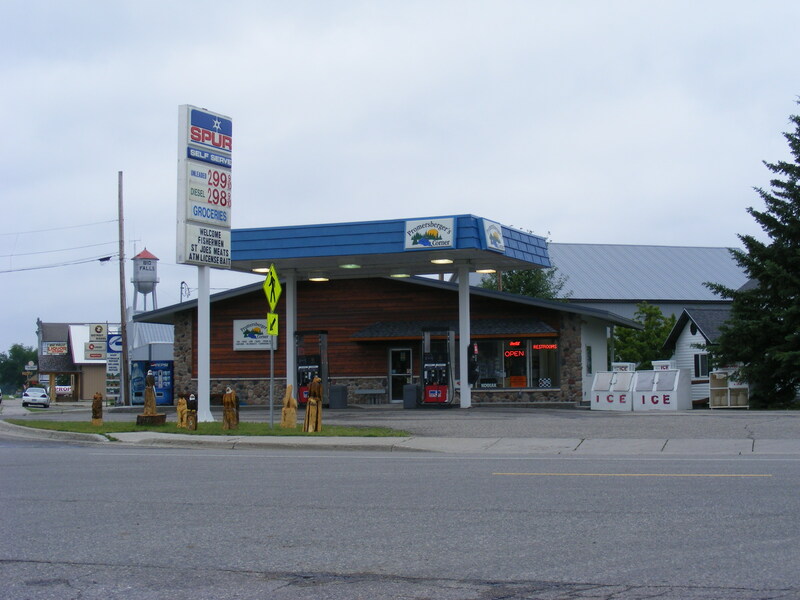 U.S. Route 71 and Minnesota State Highway 6 are two of the main routes in the community. According to the United States Census Bureau, the city has a total area of 6.06 square miles (15.70 km²), all of it land. The elevation is 1,217 ft (371 m). As of the census of 2010, there were 236 people, 130 households, and 63 families residing in the city. The population density was 38.9 inhabitants per square mile (15.0 /km2). There were 181 housing units at an average density of 29.9 per square mile (11.5 /km2). The racial makeup of the city was 97.0% White, 1.7% Native American, and 1.3% from two or more races. Hispanic or Latino of any race were 1.7% of the population. There were 130 households of which 13.8% had children under the age of 18 living with them, 42.3% were married couples living together, 3.8% had a female householder with no husband present, 2.3% had a male householder with no wife present, and 51.5% were non-families. 42.3% of all households were made up of individuals and 16.1% had someone living alone who was 65 years of age or older. The average household size was 1.82 and the average family size was 2.43. The median age in the city was 53.8 years. 11.4% of residents were under the age of 18; 2.7% were between the ages of 18 and 24; 18.2% were from 25 to 44; 44% were from 45 to 64; and 23.7% were 65 years of age or older. The gender makeup of the city was 53.0% male and 47.0% female. Big Falls (1,240 alt., 509 pop. 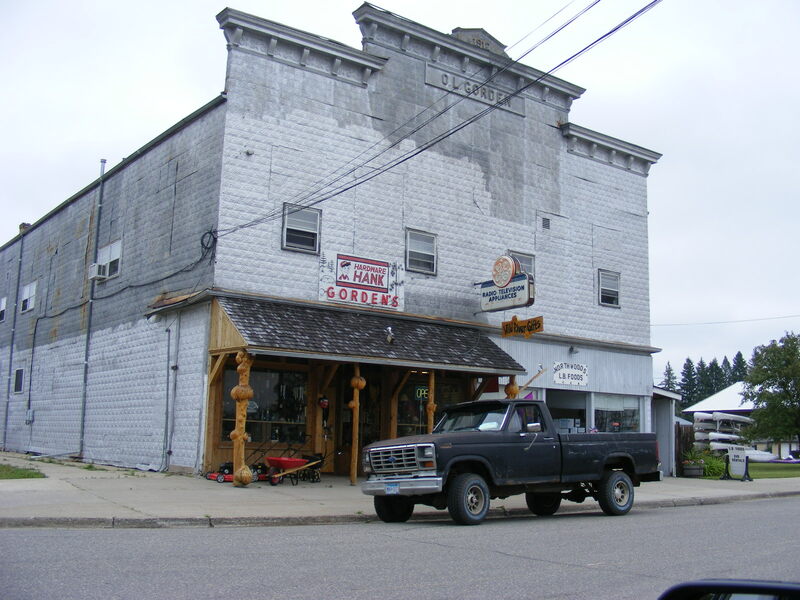 ), in the fertile valley and on the falls of the Big Fork River (see Littlefork), is the center of an agricultural area; though its main industry is lumbering. Although Indians did not live in the immediate area, they paddled through it over the Sturgeon and Big Fork rivers to Rainy Lake and Lake of the Woods. Fur traders probably followed this route and, from evidence found, may have built a post for the Hudson's Bay Company on the Sturgeon River, a short distance from the site of Big Falls. At the turn of the century came lumbermen, attracted by pine forests and available water power. 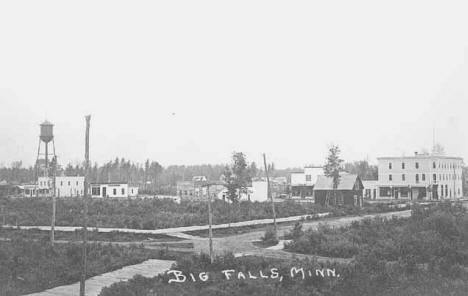 A railroad, the Big Fork and Northern, was built from Northome to Big Falls and, in 1905, was leased to the Minnesota and International, the Brainerd to International Falls branch of the Northern Pacific, by which it is still controlled. Farming developed as the land was cleared. The deep, black, sandy loam is adapted especially to clover, potatoes, and small grains. Blueberries are an important summer crop. Good highways leading in all directions make markets easily accessible. Although farming is becoming more and more important, lumbering still leads. Quantities of pulpwood, cedar ties and poles are shipped each year, and many men are given employment in the logging camps in winter. A hydroelectric power plant, owned locally by the Croswell Power and Light Company, has been built south of the falls of the Big Fork River, one-fourth of a mile from town. 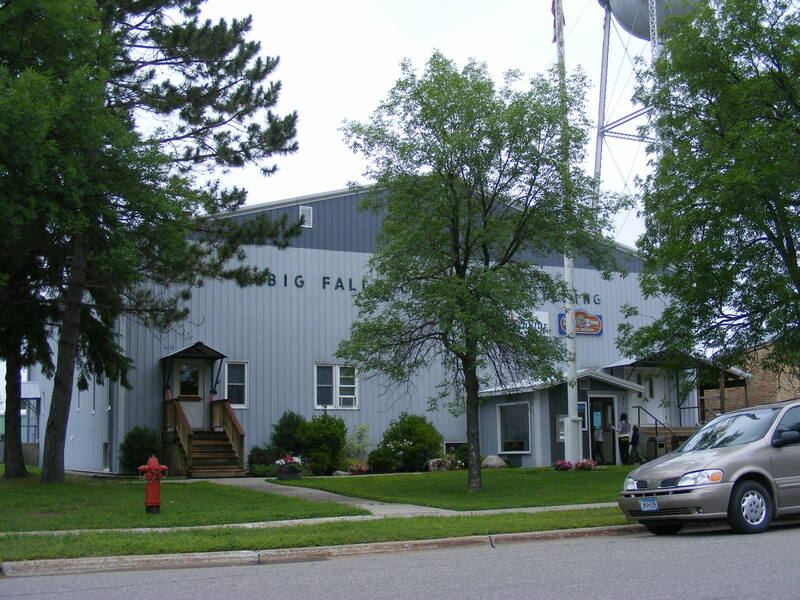 Also along the Big Fork River is a forestry station and a fire tower, which with several office buildings and living quarters comprise the unit. 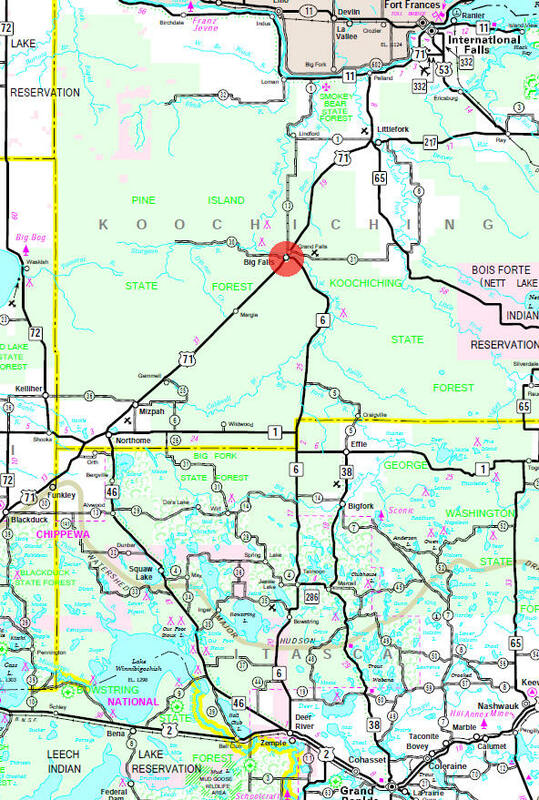 It operates in conjunction with CCC Camp 4701, one mile east, and Center Camp in the Pine Island Forest, 25 miles west. In 1939, US Highway 71 received black-top treatment from Big Falls to the Canadian border, and the work is being continued south to Big Falls. The Byman Museum in Big Falls, with its Indian relics, arrowheads, pictures, oddities, and other interesting features, is open to the public. 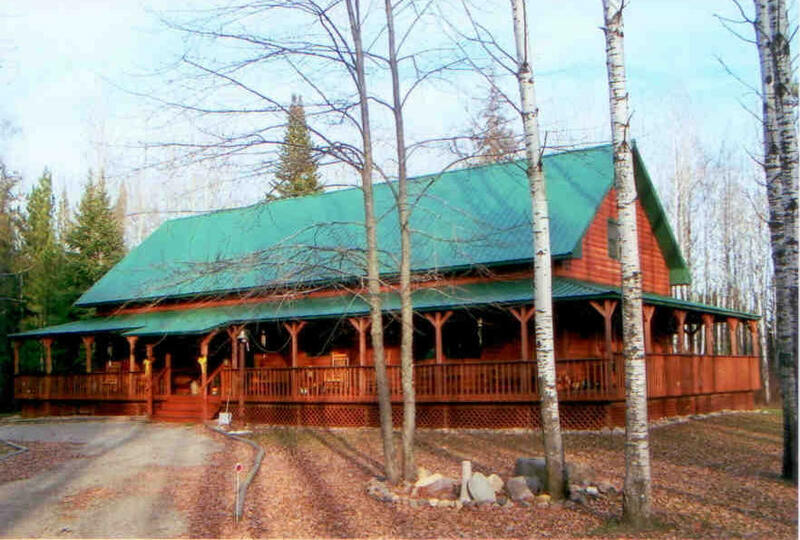 East of town and on the Big Fork River is the Mission Covenant Church District Bible Camp, which is open for ten days each summer and offers vacation possibilities for rest, devotion, and instruction. Game is plentiful and duck hunting is especially popular. 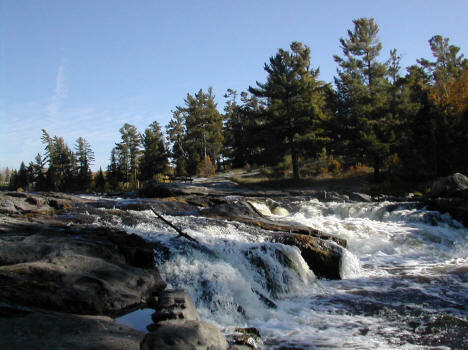 There is good fishing in the three near-by streams: the Sturgeon, Big Fork, and Little Fork. 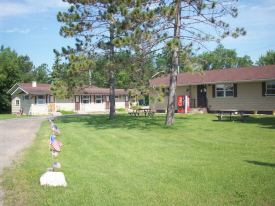 This is a potential tourist center, for it is close to wilderness and lake regions, and there are numerous tourist parks and campgrounds. 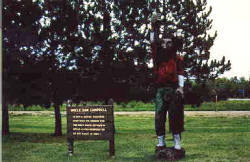 Have your picture taken next the wood carved statue of Uncle Dan Campbell. Who is Uncle Dan Campbell, you ask? We don't know, but he sure has a great statue! Please write us if you know a little about Uncle Dan. 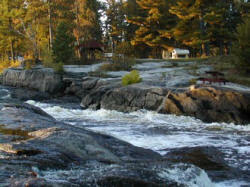 The Blue Ox ATV Trail runs through Big Falls, with an access at our municipal campground. Courteous riders are always welcome here! Scenic Rivers Health Services primary care clinic in Big Falls welcomes family, friends, neighbors and visitors. The clinic is open Monday and Thursday afternoons from 1 - 5 p.m. Drs. 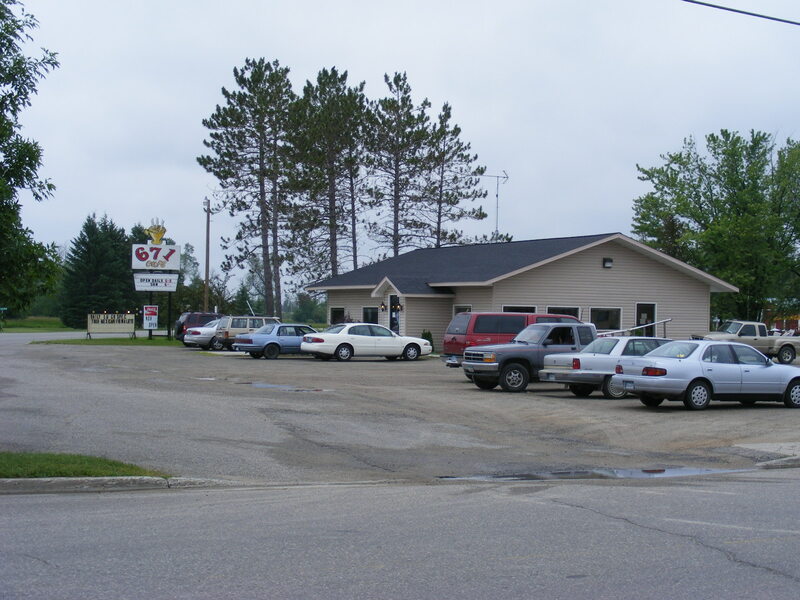 Korstad, Rounds, Scrivner and Cabot drive from the clinic in Bigfork to provide care. A Sliding Fee Scale discount program is available for qualified persons and families. 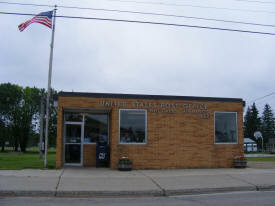 The Littlefork-Big Falls School District is located in north-central Minnesota, just 10 miles from the Canadian-U.S. border. Encompassing nearly 900 square miles, the district serves an estimated 350 students in grades K-12. An active preschool program adds nearly 60 students and serves youth ages 3-5. 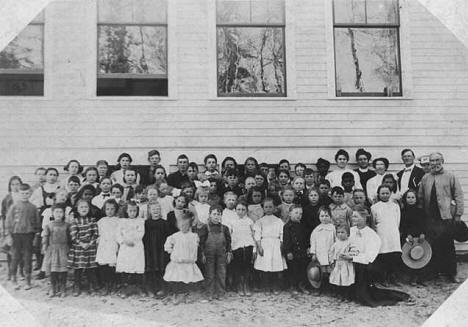 In the fall of 1997 the district moved into a new K-12 facility in Littlefork. This $10,000,000 facility houses some of the best technology you will find in a public school. 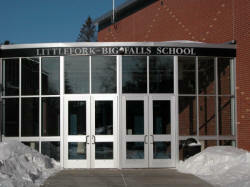 Because the school is centrally located in the city of Littlefork, it is easily accessible for the whole community. 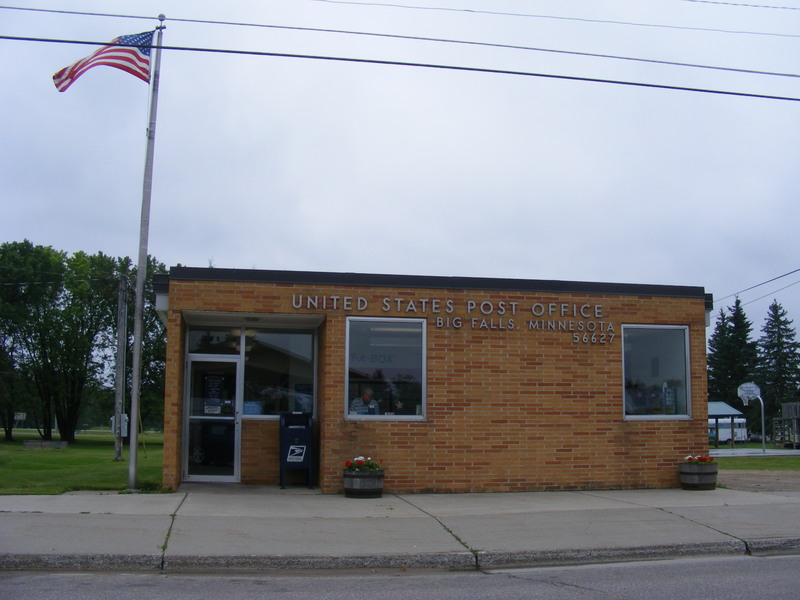 The city provides the community with many features, including a Medical Center, an active Chamber of Commerce, several downtown stores, two banks, and two city parks. 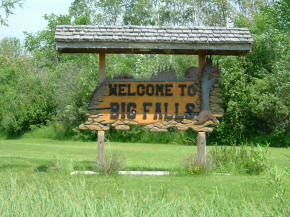 Big Falls area newsletter that is printed monthly and distrubuted locally with nationwide subscriptions. Please call for subscription and ad rates. Come and enjoy the home town hospitality at Becki's Inn, Big Falls. * 2 Double rooms that sleep 4 people each * 2 Rooms that sleep 2 people * 2 single rooms Price breaks are offered on large parties and longer stays of three nights and more. 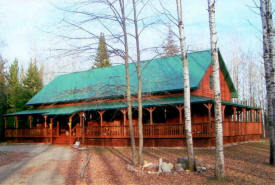 The Red Rooster B & B is a log style home in a beautiful wilderness setting. 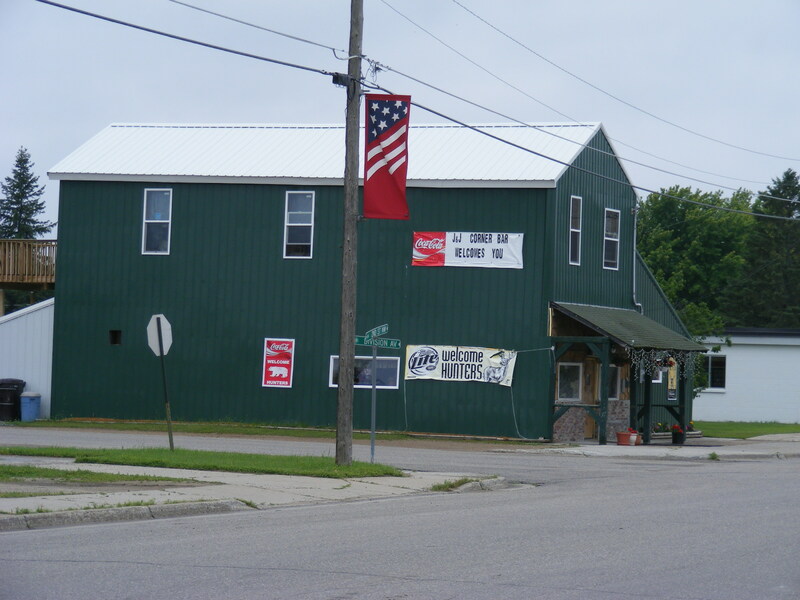 It is located 5 miles from Big Falls on Hwy 31 East, in the community of Treatville. Offers a family style environment. There are two guest rooms. One with a Western theme and a queen bed. One with an Americana theme and a double bed. Full breakfast is served family style. Open year round. Our City Campground offers complete camping and picnicking facilities. 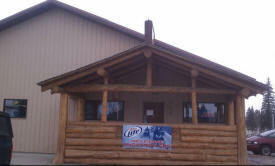 It is nestled between the whispering pines and the rushing Bigfork River rapids. There are full electric and water hookups for RVs, as well as tent sites available. Clean indoor bathroom and shower facilities on site. Now reopened under new management. Serving breakfast, lunch and dinner. Open 6 a.m. to 8 p.m. Monday thru Sunday. Low income government subsidized housing. Rent is based on just 30% of your monthly adjusted gross income. On and Off Sale Municipal Liquor Store. Serving Pizza, Hot Sandwiches, Appetizers and more! Offering pool tables, darts, large screen TV and Nintendo Wii. 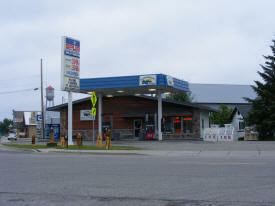 Providing a full line of hardware, general store items, and propane exchange and fill station. L.B. Foods is a grocery store that offers fresh meat and produce. WIC and Food Stamps are accepted. They also offer DVD rentals. Year-round guided trail rides through north woods trails near the Bigfork River. Carriage or sleigh rides, group hay rides and parties. 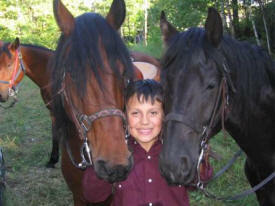 Lessons or horse training - consultations, kids horse camps, cabin rental, camping and/or horse lodging. Specialized wedding carriage service anywhere in the 4 state area year round. Moriesian (Morgan-Friesian) breeding and sales. TruStar provides quality banking products and services, including savings and checking accounts, money market accounts, IRAs, share certificates, car and recreation loans, mortgages, construction and land loans and on-line banking. Northwoods gift shop with souvenirs and local artwork.